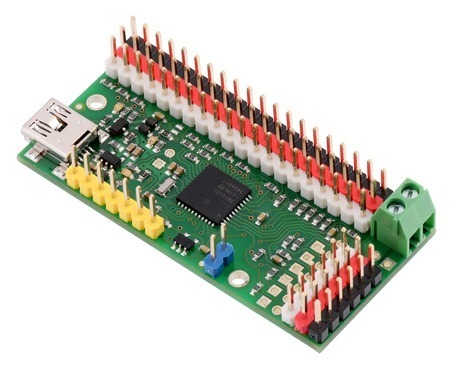 he Micro Maestro is a highly versatile servo controller and general-purpose I/O board in a highly compact (0.85"×1.20") package. 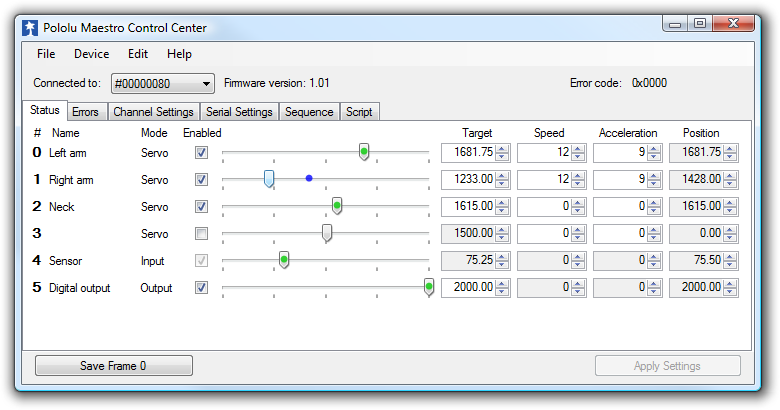 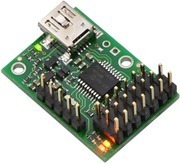 It supports three control methods: USB for direct connection to a computer, TTL serial for use with embedded systems, and internal scripting for self-contained, host controller-free applications. 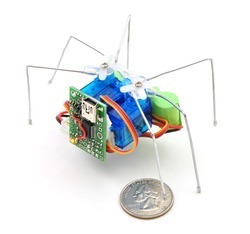 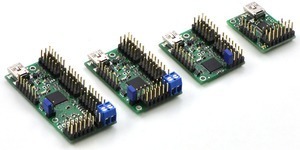 The channels can be configured as servo outputs for use with radio control (RC) servos or electronic speed controls (ESCs), as digital outputs, or as analog inputs. 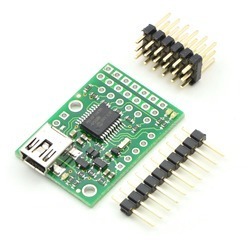 The extremely precise, high-resolution servo pulses have a jitter of less than 200 ns, making these servo controllers well suited for high-performance applications such as robotics and animatronics, and built-in speed and acceleration control for each channel make it easy to achieve smooth, seamless movements without requiring the control source to constantly compute and stream intermediate position updates to the Micro Maestro. 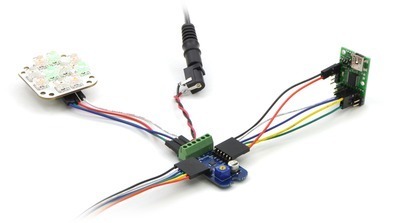 Units can be daisy-chained with additional Pololu servo and motor controllers on a single serial line.